Reef Walk is raising awareness of the impacts to the Great Barrier Reef from Australia's coal, coal seam gas (CSG), and LNG export industries. ← My Experience of the walk. After two nights and a rest day in Ayr we walked out on Tuesday July 2 towards Home Hill on the southern side of the Burdekin River. Ayr is memorable for the “Burdekin Snow” (the black ash from burning cane and trash) which falls day and night during the harvesting season. 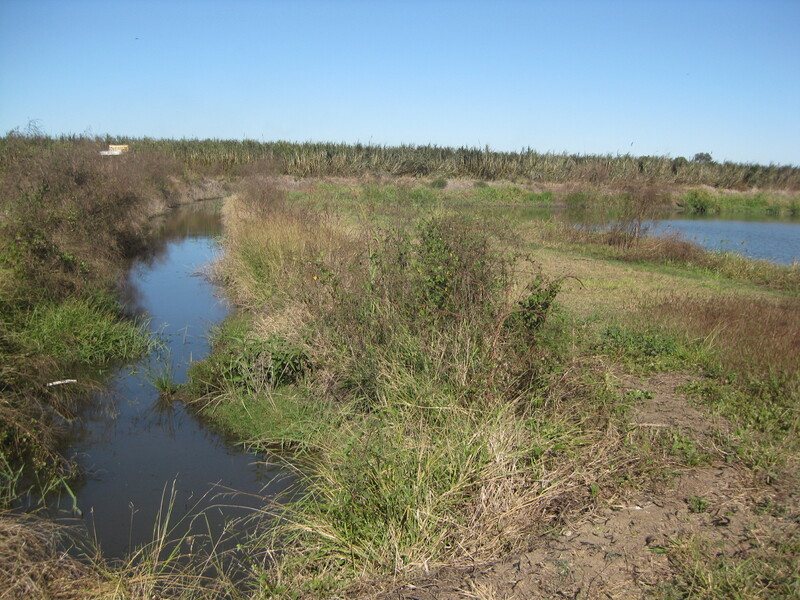 Most cane growing areas now cut green and leave the trash blanket on the ground as mulch but as the Burdekin area is mostly irrigated from the water table, farmers here have problems with the water pooling due to excess trash and so causing rotting of the trash and cane stools. It is hard to believe that in the 21st Century a more environmentally friendly answer cannot be found for these problems. Reef Walk 2013 received a generous donation here from the Ayr Lions Club addressed to “The Lady who walks”. Siobhan, who had looked after us well in Ayr and had arranged a meeting with locals on Monday evening, also had arranged for us to visit a cane farm at Home Hill. 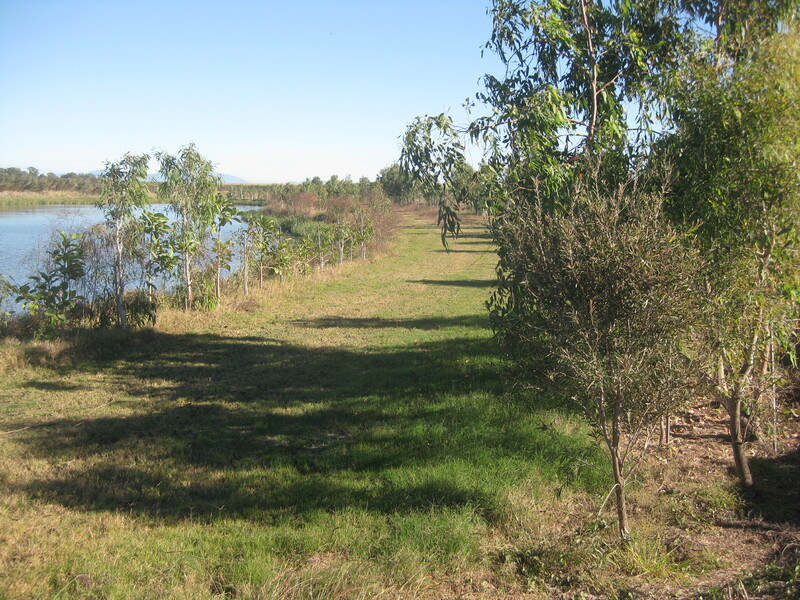 The cane farm of Vince and Rita Papale is notable in that they have sacrificed some of their arable land to install a lagoon (totaling 4hectares under water) which, being bordered by planted and naturally regrowing vegetation, filters the runoff from their farm and ensures that clean water enters the local streams and that their farm does not contribute to contamination of the Great Barrier Reef lagoon. They have been awarded the Premiers sustainability award for their innovative work but it is most disappointing that more cane farmers do not follow their example. Perhaps we can hope that one day a conscionable government will accept their responsibilities and legislate or at least provide financial incentives for this kind of work to be instigated on all farms before the reef is completely destroyed. After this pleasant interlude we continued walking to our next stop, Inkerman. Subscribe to get all the latest news on upcoming events Sign up for our free newsletter!